It´s the beginning of September. 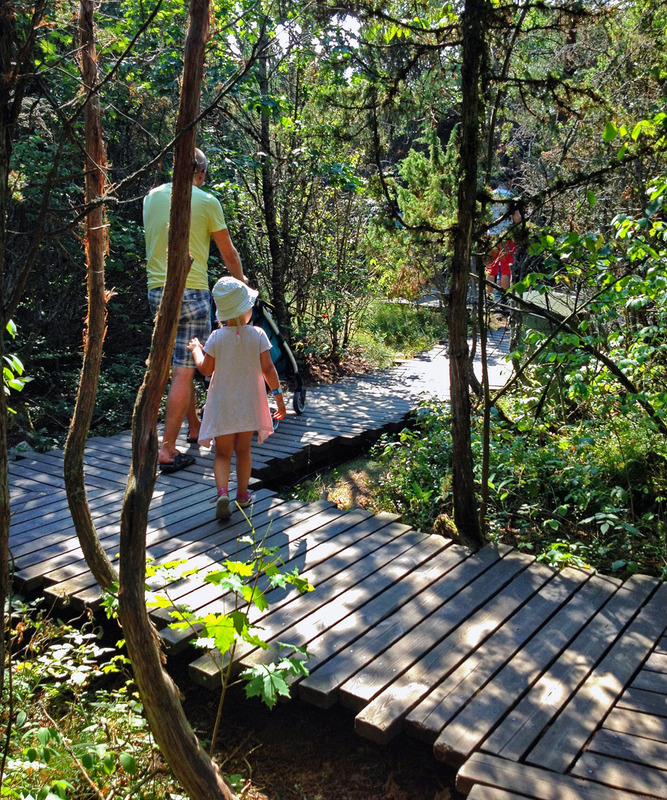 Summer is over in Finland and autumn is arriving. 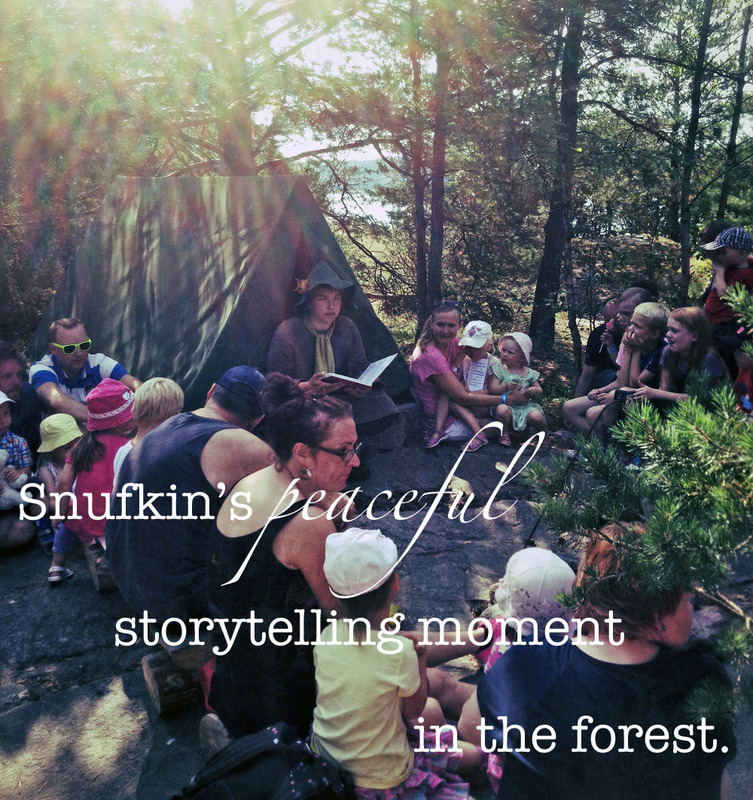 Best things in my summer 2014 were my peaceful blueberry picking trips on the island on lake Puruvesi, my yoga practices outdoors on a beach and our family´s visit to Moominworld. Those of you who have already read my blog for some time know that berry picking is my passion and yoga my favorite hobby. 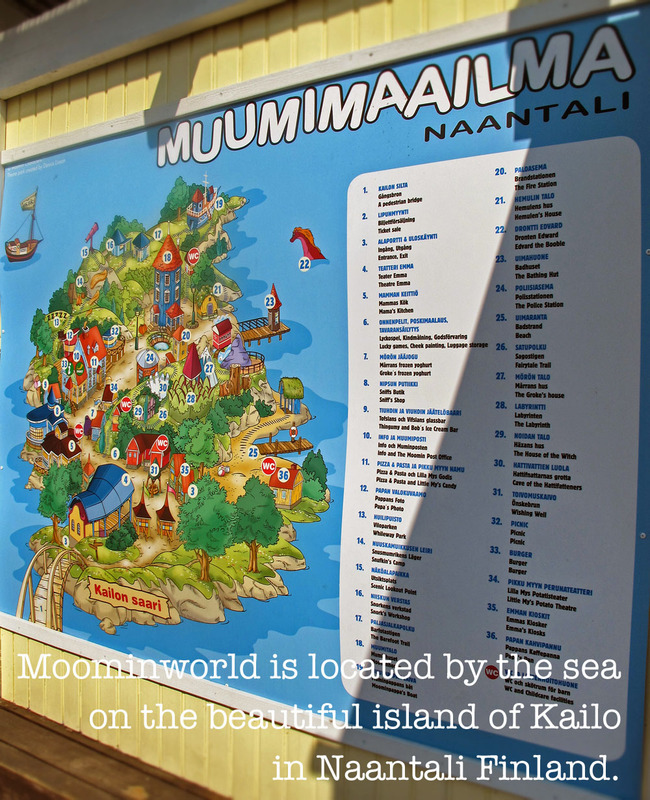 But why I, a wellbeing blogger, value Moominworld this high? 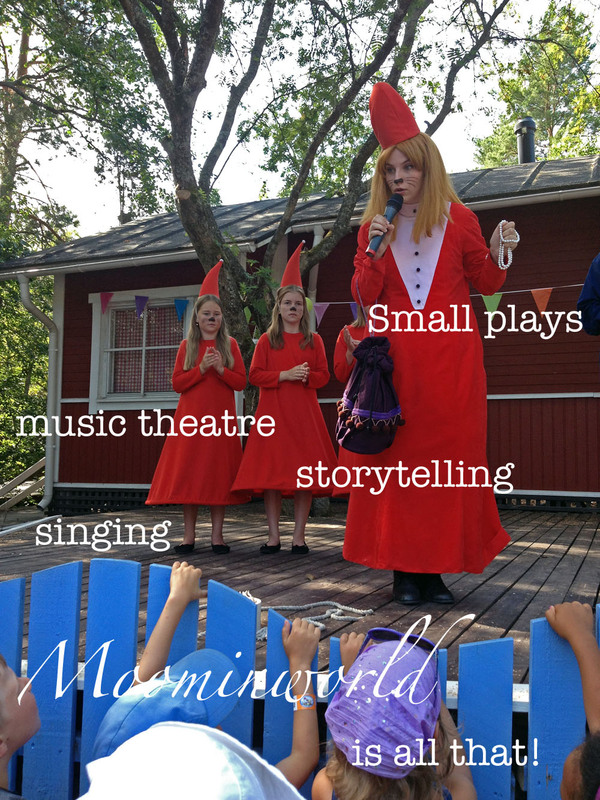 Well, here´s 3 reasons why I think visiting Moominworld can be good for you and your family. Just like it was for our family. 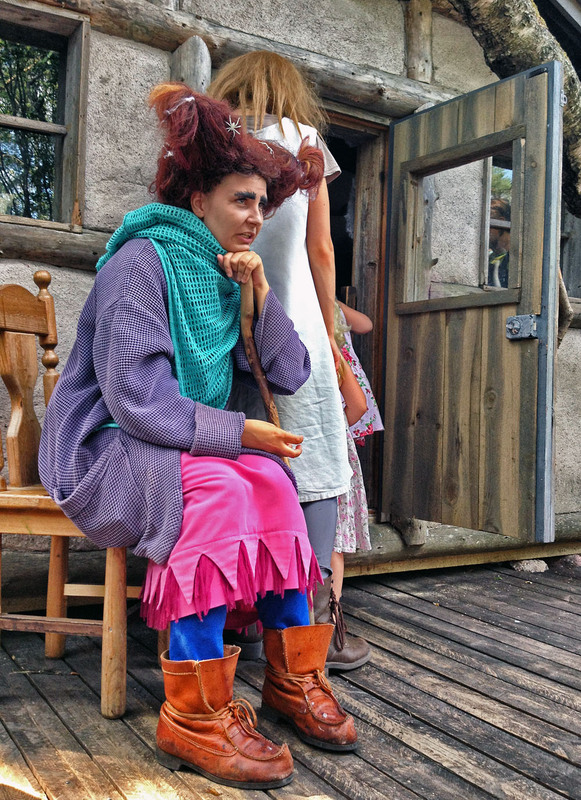 It´s bad for wellbeing if life gets too serious. And adults take their life too serious quite often. So we need some antidotes. 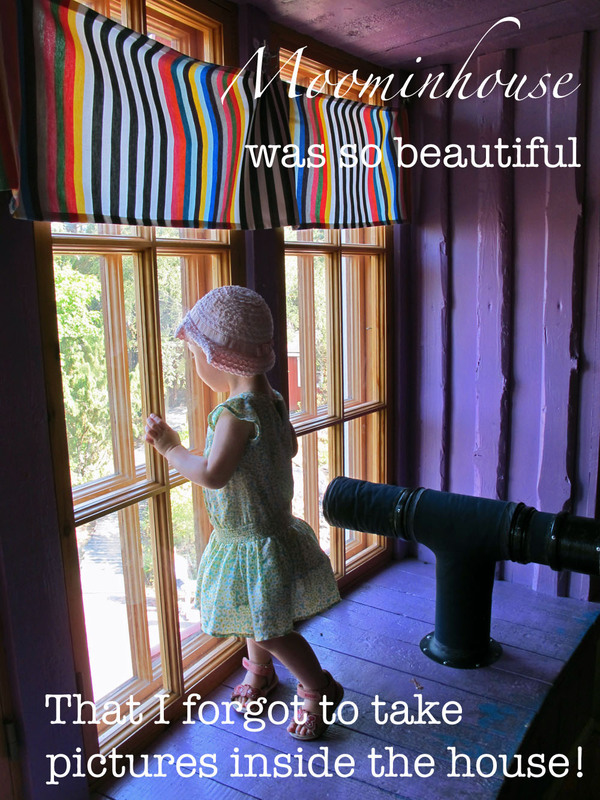 Every now and then it´s good to let our inner child to run free and seek inspiration so that we could enjoy life more and see it in a different, more creative way. 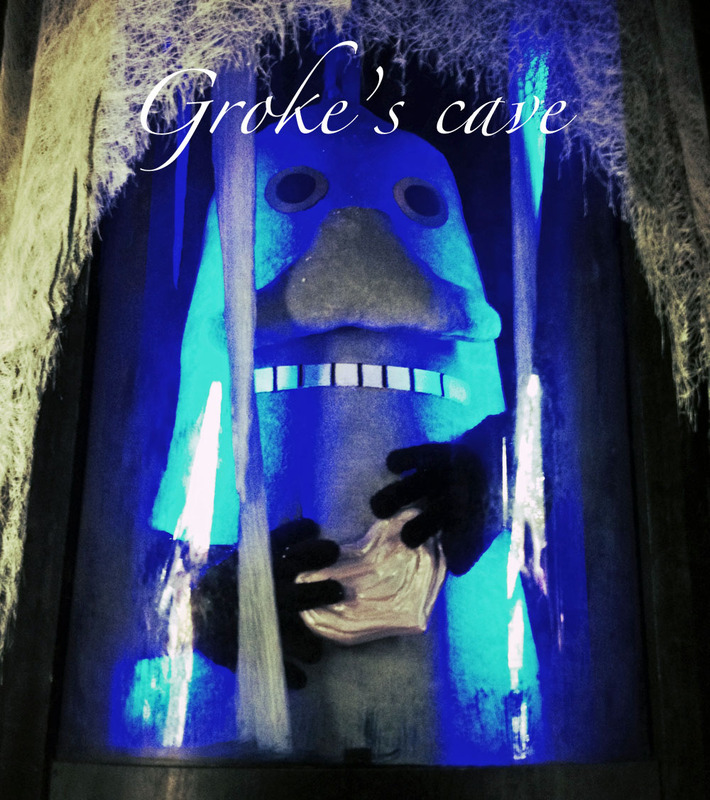 In the Moominworld Tove Jansson´s Moomins fairytales come alive. 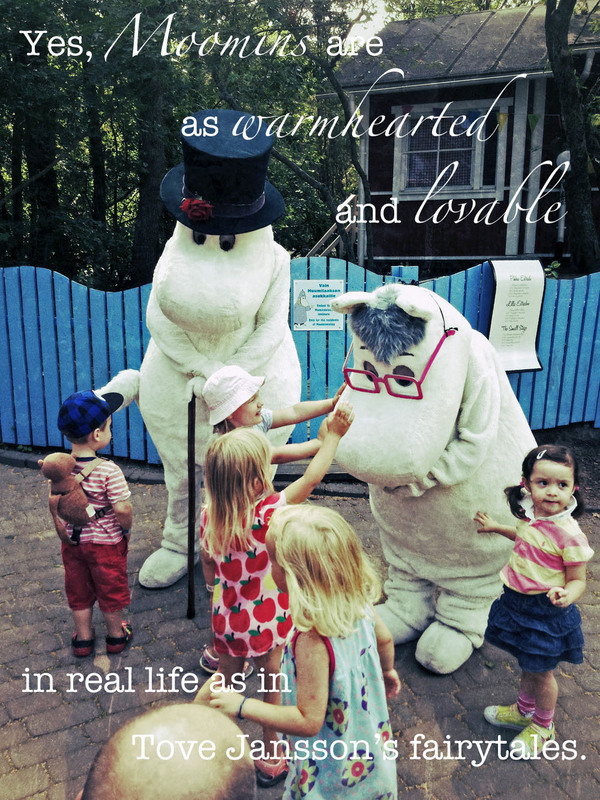 It was amazing to see what a positive and relieving effect it had on people when they were able to meet the Moomins in real life. 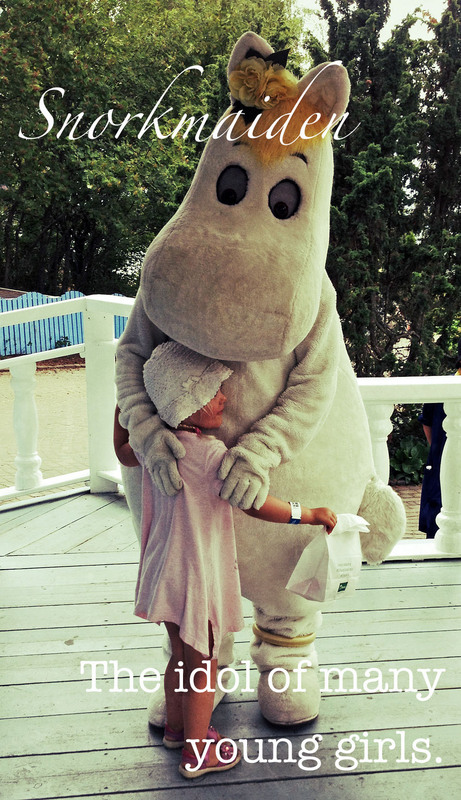 It was so great that all could hug and pet Moomins or chat with Little My and Snufkin. 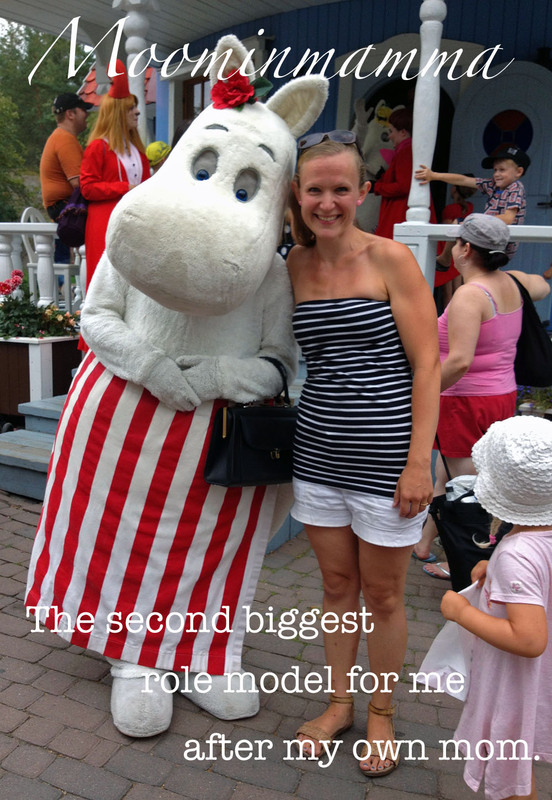 No wonder The Independent selected Moominworld to be the world’s fourth best theme park for children in 2005! I get really stressed in loud amusements parks that are just full of asphalt and fast moving equipments. 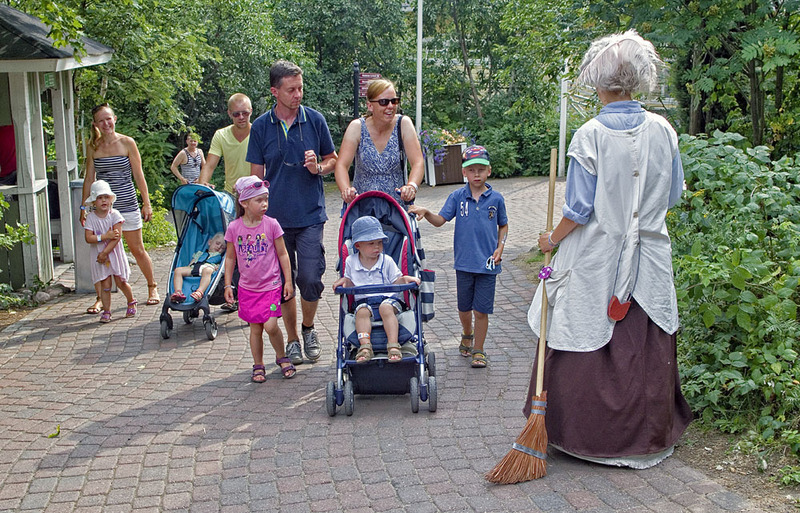 Moominworld is not that kind of a park. It´s quite the opposite. 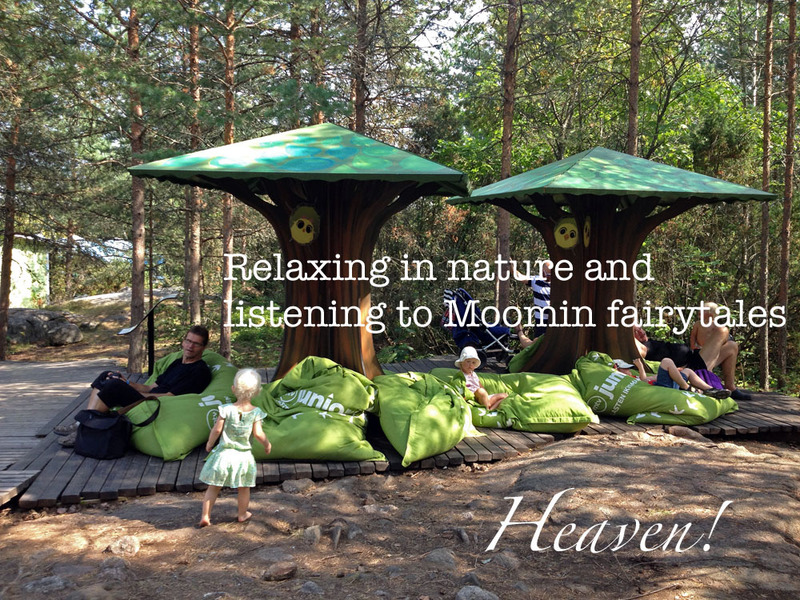 Moominworld is full of greenness, beautiful sea views and places to relax. 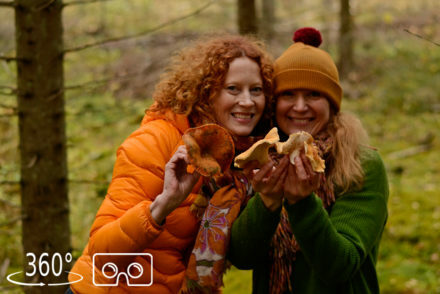 The kind of places and views that are good for our natural wellbeing. 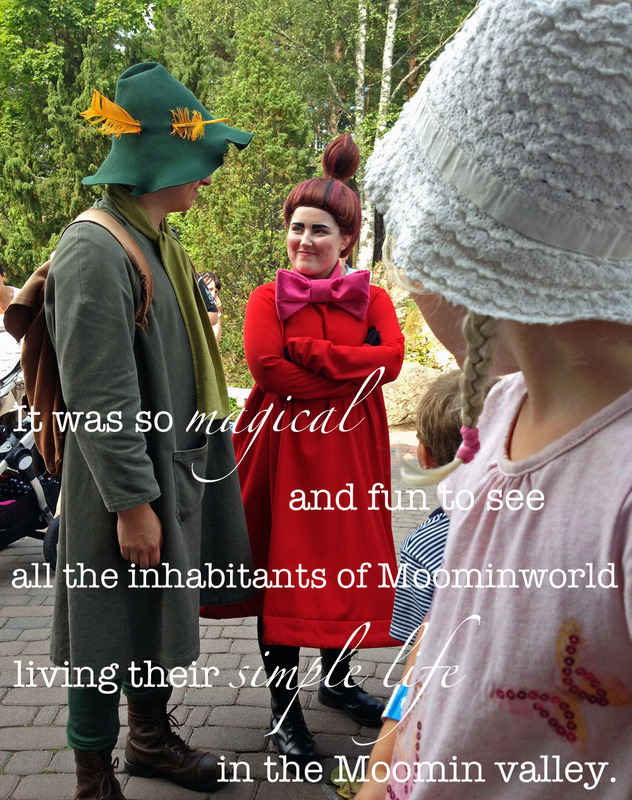 Me and my husband´s opinion about Moominworld: Everything was well thought off and worked perfectly – traffic arrangements, restaurants, toilets. Friendly workers, no long queues, lots of places to rest, relax or eat your own snacks. 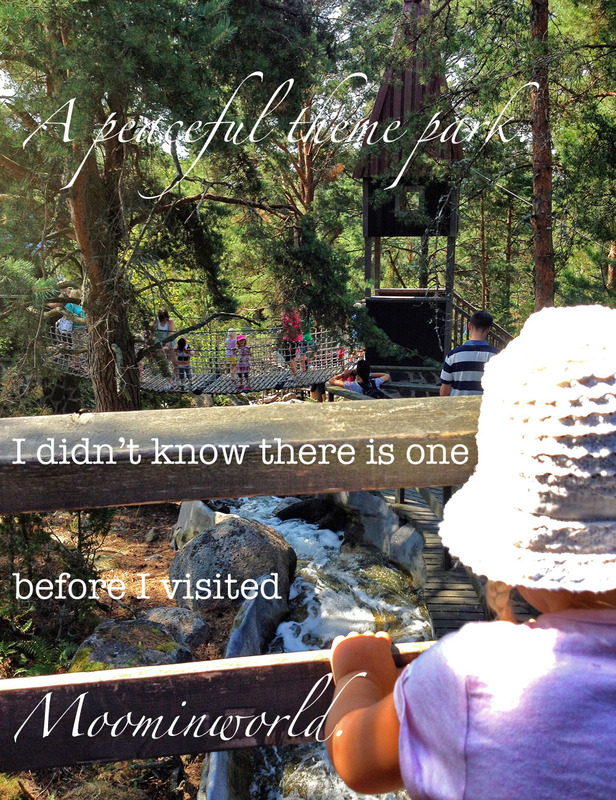 And aesthetics…the whole park and all the details were so beautiful! Absolutely nothing bad to say! 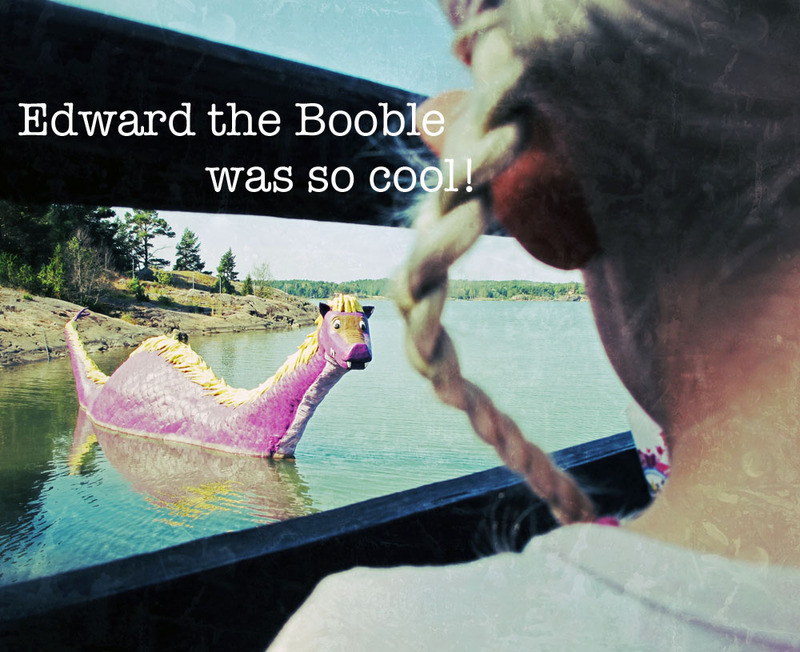 Child´s opinion: When we´re going to visit the Moomins again?!? 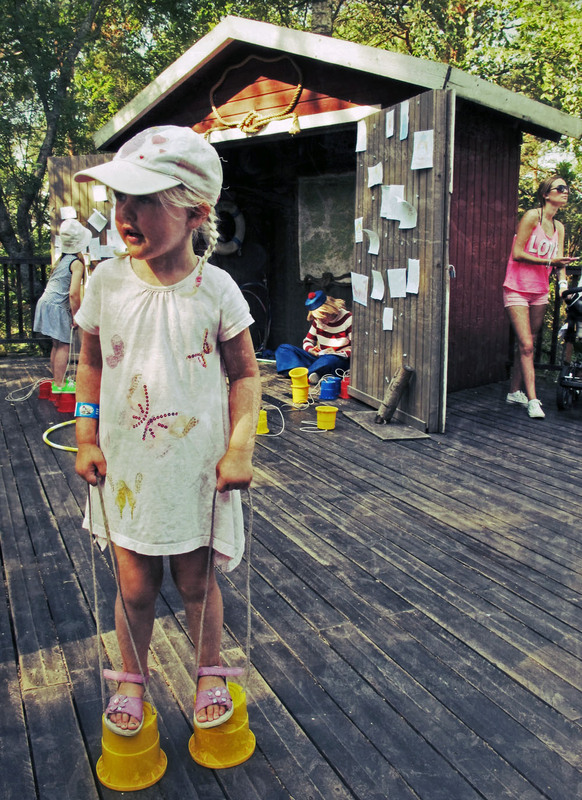 I used to think that the days with children in amusement and theme parks are just pure pain and stress, but luckily I got it wrong. 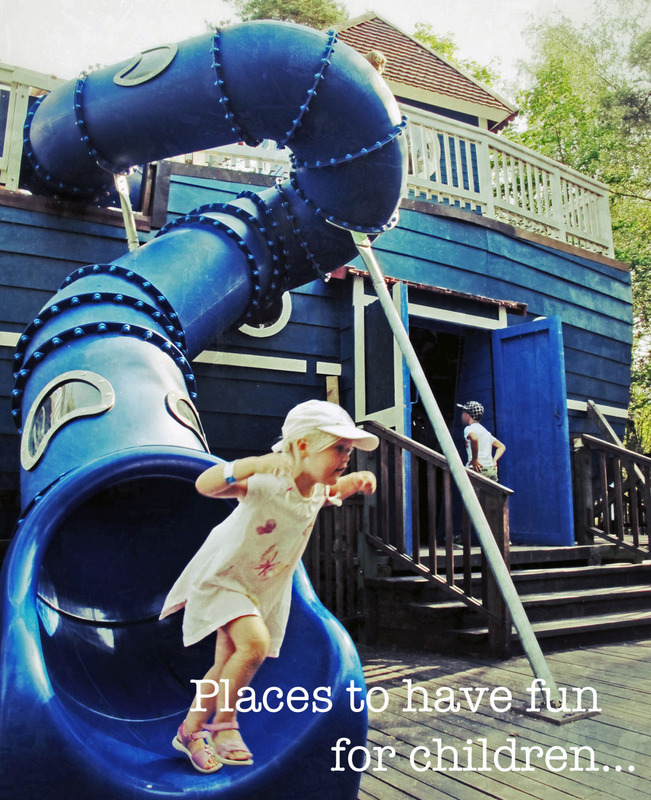 These kind of places can also be enjoyable and fun for both parents and children. 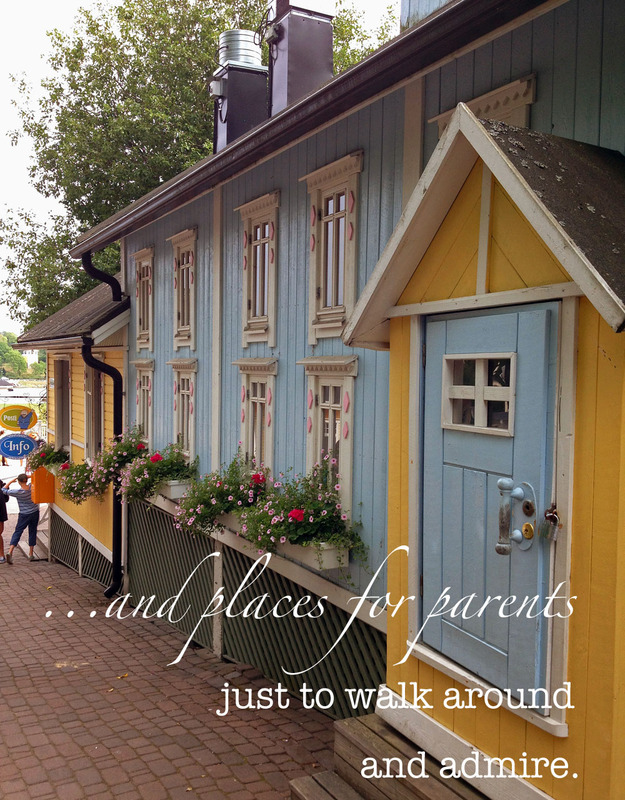 You just need to find the right kind of theme/amusement parks! 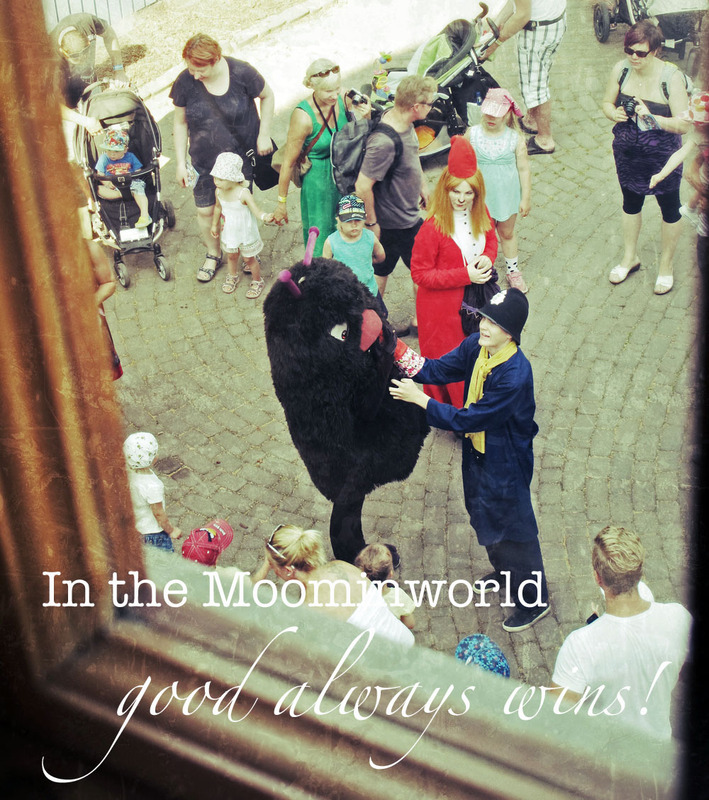 Moominworld is a quality theme park where the whole family enjoys themselves. 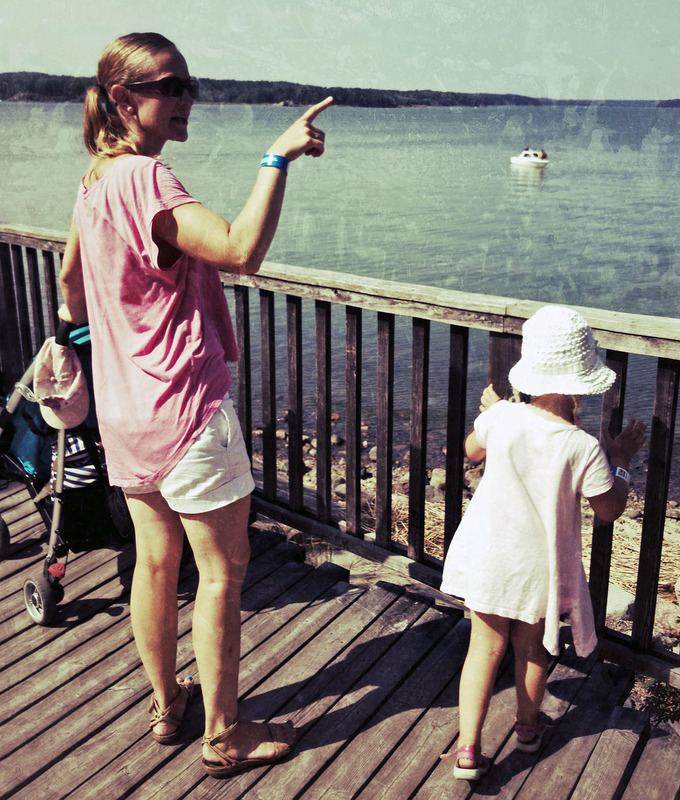 That kind of a time together is so important for your family’s wellbeing! 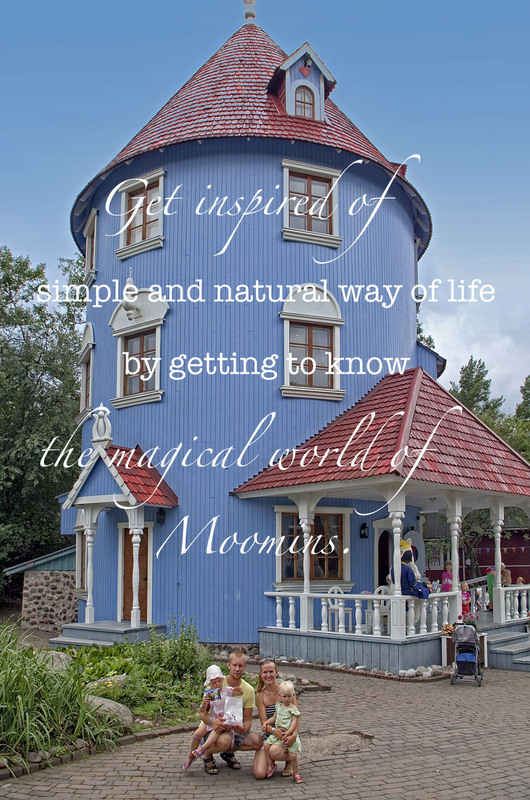 Start your adventure in the beautiful world of Moomins! 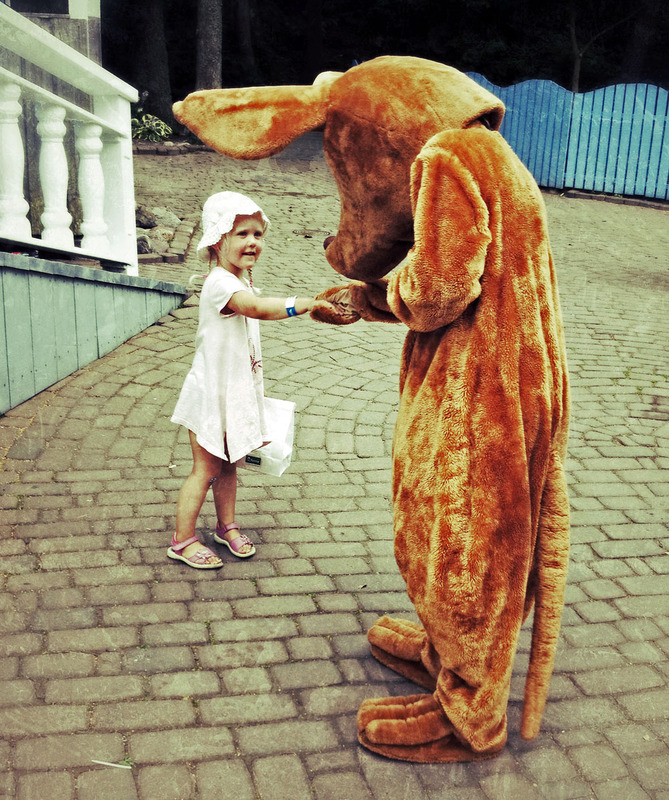 Moominworld has closed its doors for this summer now. (They will actually be open during the winter for couple of weeks). 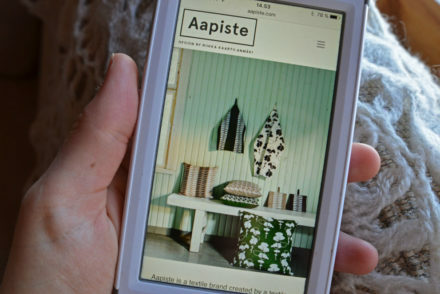 As I´ve said, it´s always good to dream and have something fun to wait for. 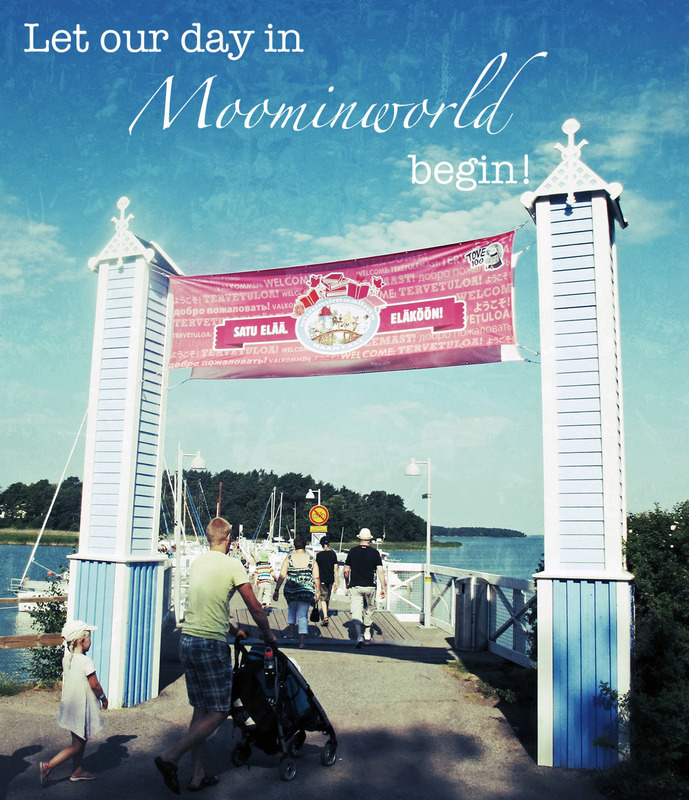 Visiting Moominworld is definitely something that I can warmly recommend for the summer 2015. 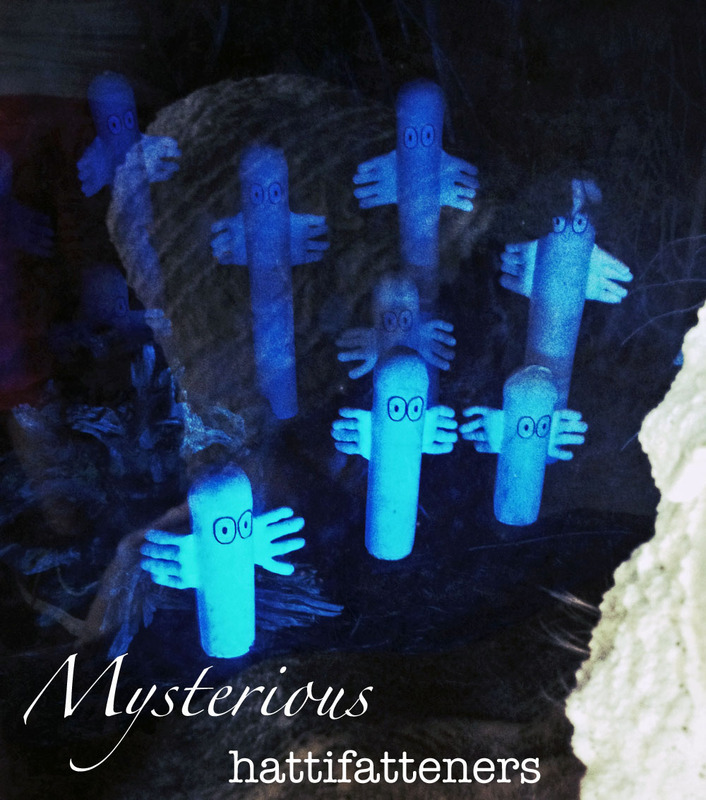 Before that, perhaps you can read some of the Moomin books to get to know better what will be waiting you in the Moominworld. Me personally have started to dream about the visit to Klovharu. 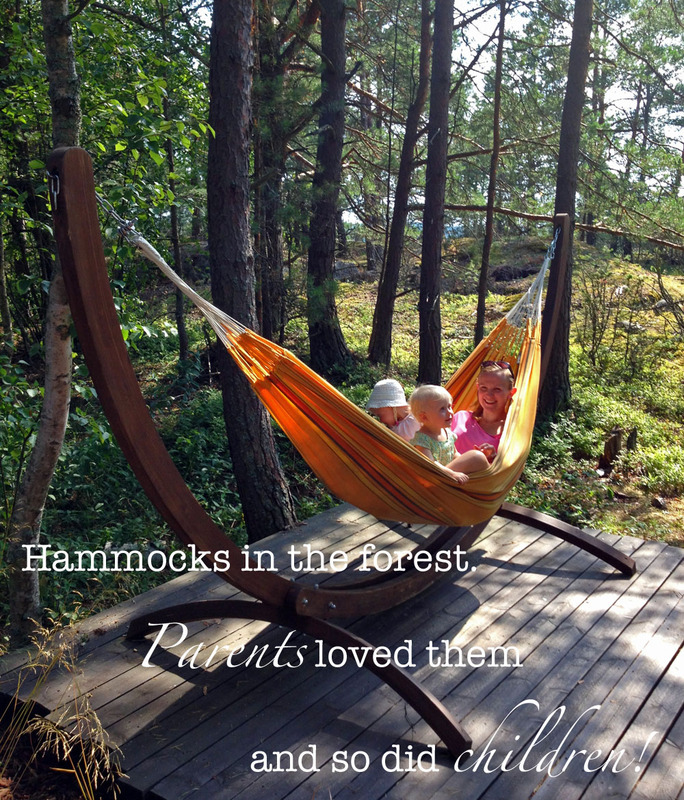 It´s the island in the Gulf of Finland where Tove Jansson had her tiny cottage by the sea. 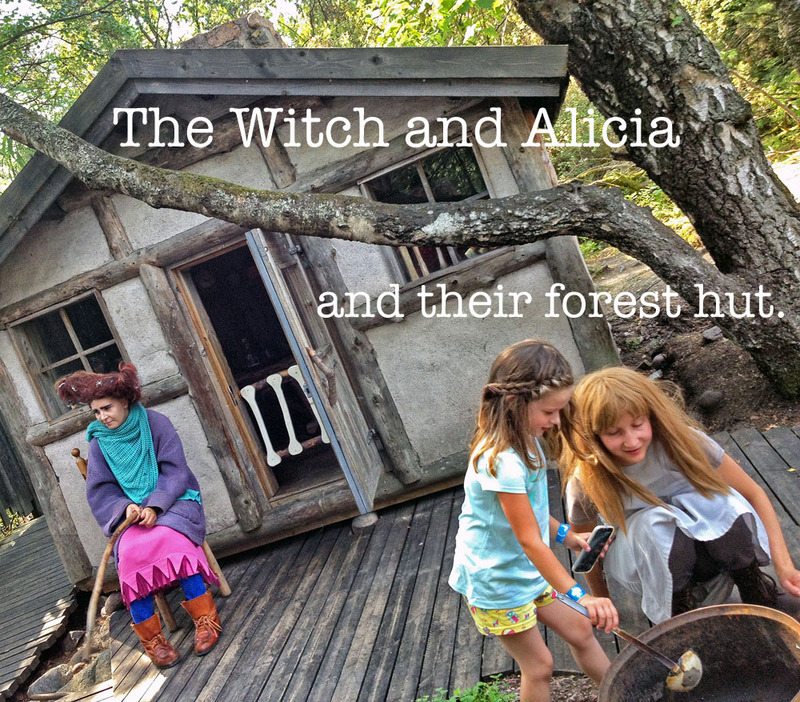 It was her remote retreat and a source of her inspiration and creativeness. 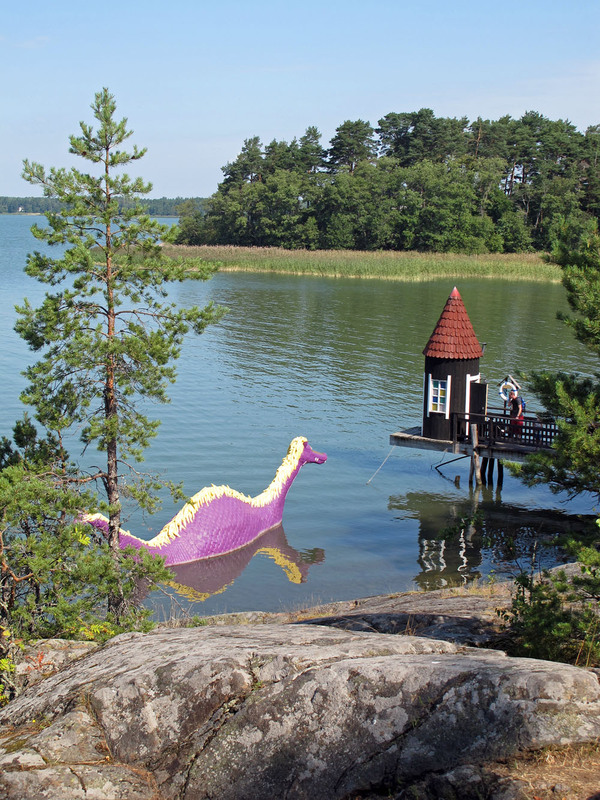 Kate Simon, the journalist of The Independent visited that cottage and published a great article “Finland: It´s Moomin marvellous” about her visit. 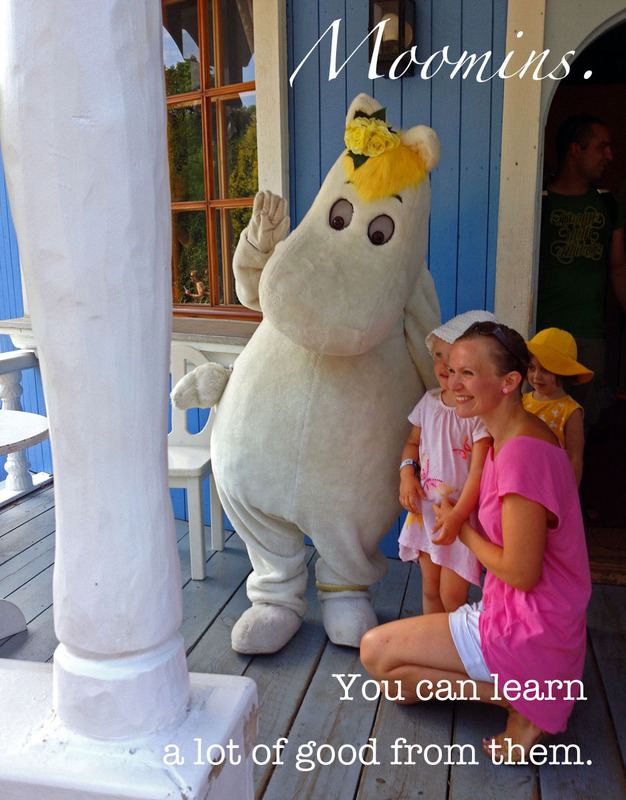 By visiting Moominworld one of my (and Unna´s) dream came true. 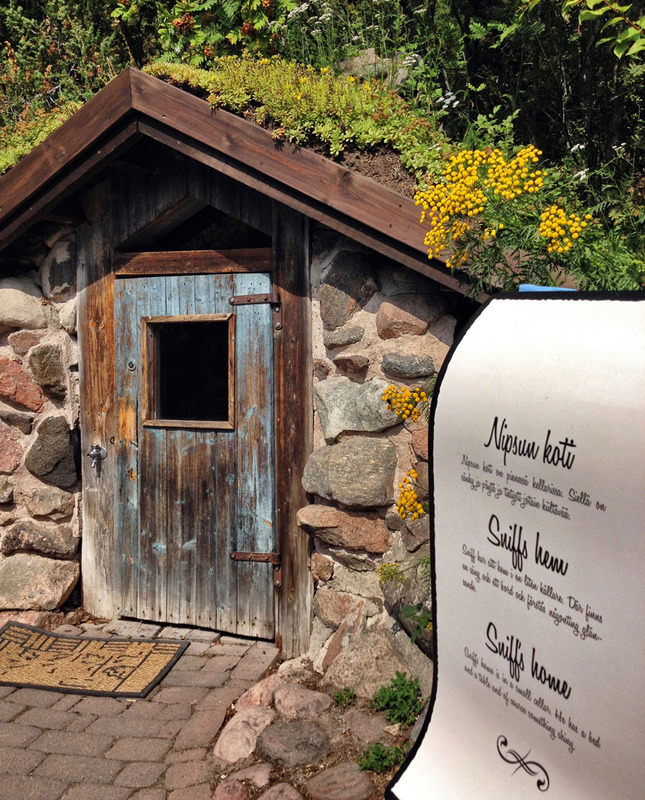 Visiting Tove Jansson´s cottage is another one. I don´t know when I get a chance to visit there but I already know that some day I will. Just because I´ve noticed that it´s good for your wellbeing to pursue your dreams and prevent life getting too serious! 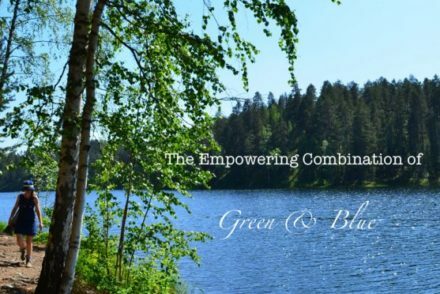 On The Way To Simple Living: Remember The 80/20 Rule!